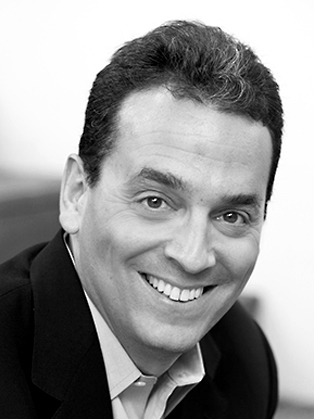 Daniel H. Pink is the author of five provocative books about the changing world of work, including the long-running New York Times best seller, A Whole New Mind, and the #1 New York Times best seller, Drive. His books have been translated into 33 languages. His latest book To Sell Is Human: The Surprising Truth About Moving Others, offers a fresh look at the art and science of selling. As he does in A Whole New Mind and Drive, Pink draws on a rich trove of social science for his counterintuitive insights. He reveals the new ABCs of moving others (it’s no longer “Always Be Closing”), explains why extraverts don’t make the best salespeople, and shows how giving people an “off-ramp” for their actions can matter more than actually changing their minds. Along the way, Pink describes the six successors to the elevator pitch, the three rules for understanding another’s perspective, the five frames that can make your message clearer and more persuasive, and much more. The result is a perceptive and practical book–one that will change how you see the world and transform what you do at work, at school, and at home. DRIVE: The Surprising Truth About What Motivates Us, uses 50 years of behavioral science to overturn the conventional wisdom about human motivation. Pink shows that carrot and stick motivators have been oversold and that high performance depends much more on the deeply human need to direct our own lives, to learn and create new things and to do better by ourselves and the world. Drive is a New York Times, Publishers Weekly, Wall Street Journal, Washington Post, Boston Globe, San Francisco Chronicle and Los Angeles Times best seller—as well as a national best seller in Japan and the United Kingdom. In A WHOLE NEW MIND: Why Right-Brainers Will Rule the Future, Pink charts the rise of right-brain thinking in modern economies and explains the six abilities individuals and organizations must master in an outsourced, automated world. A WHOLE NEW MIND spent more than 100 weeks on The New York Times main and extended best seller lists—and has been a Freshman Read selection at several U.S. colleges and universities. Oprah Winfrey also gave away 4,500 copies of the book to Stanford University's graduating class when she was Stanford's commencement speaker. Pink's THE ADVENTURES OF JOHNNY BUNKO: The Last Career Guide You'll Ever Need is the first American business book in the Japanese comic format known as manga. Illustrated by award-winning artist Rob Ten Pas, the book was one of the best-selling graphic novels of 2008 and the only graphic novel ever to become a BusinessWeek best seller. His first book, FREE AGENT NATION: The Future of Working for Yourself, was a Washington Post best seller that Publishers Weekly says "has become a cornerstone of employee-management relations." Pink's articles on business and technology have appeared in many publications, including The New York Times, Harvard Business Review, The Sunday Telegraph, Fast Company and Wired. He has provided analysis of business trends on CNN, CNBC, ABC, NPR, and other networks in the U.S. and abroad. He also advises both Fortune 100 companies and startups on recruiting, innovation and work practices. A free agent himself, he held his last real job in the White House, where he served from 1995 to 1997 as chief speechwriter for Vice President Al Gore. He also worked as an aide to U.S. Labor Secretary Robert Reich and in other positions in politics and government. He received a B.A. from Northwestern University, where he was elected to Phi Beta Kappa, and a J.D. from Yale Law School.